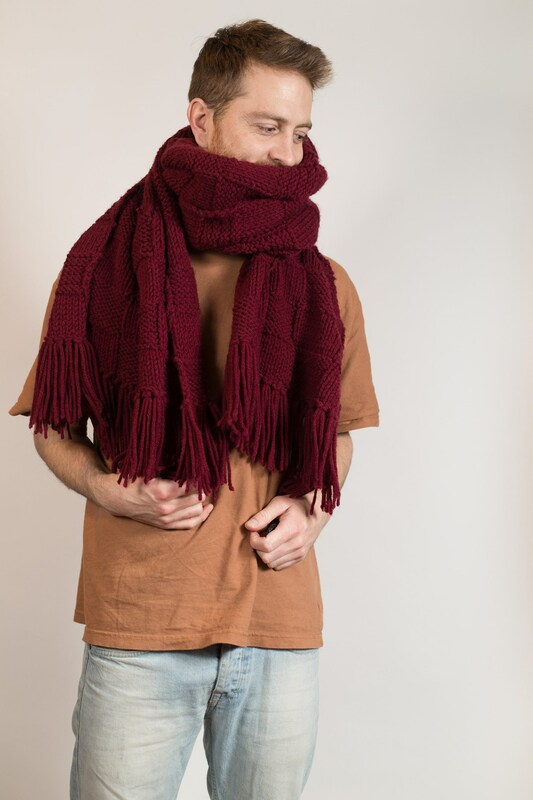 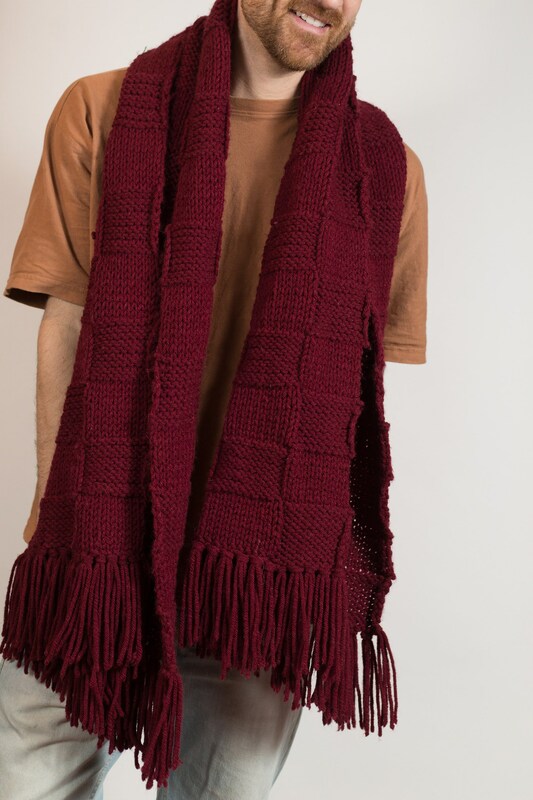 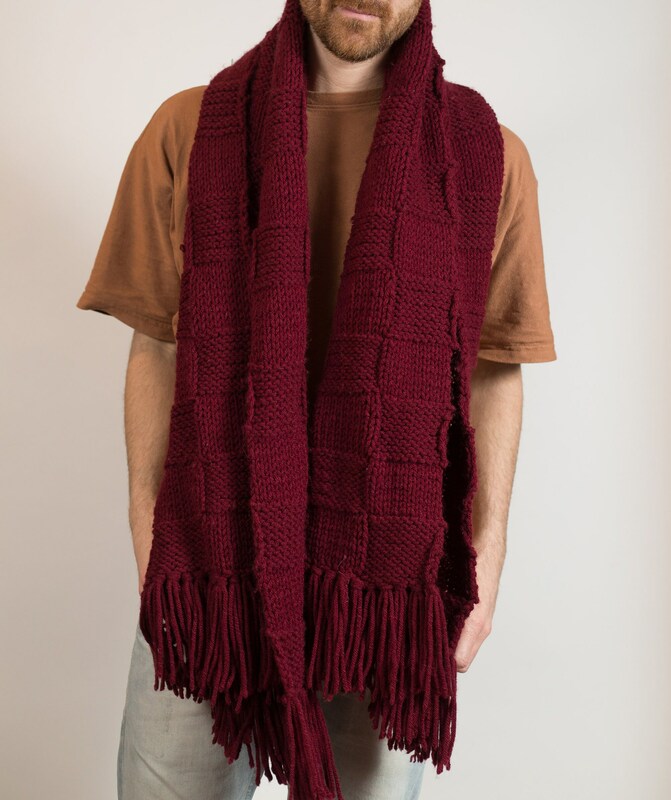 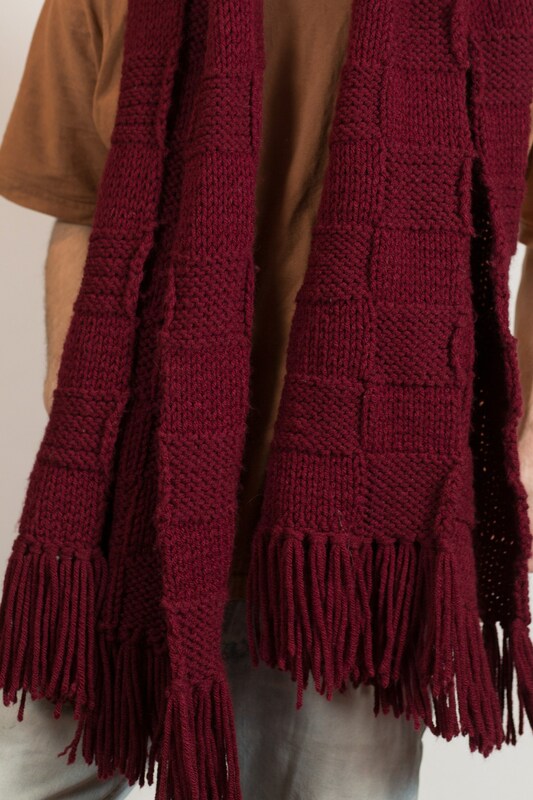 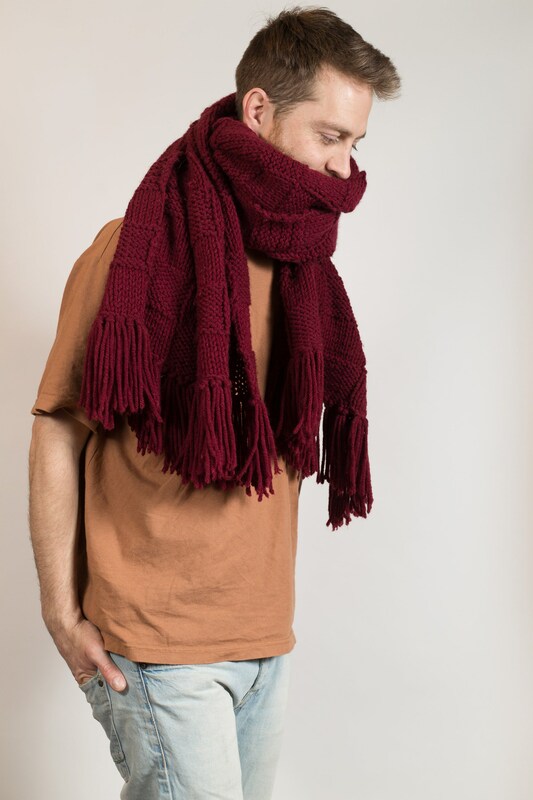 This is a hand-knit scarf with a burgundy plaid pattern. 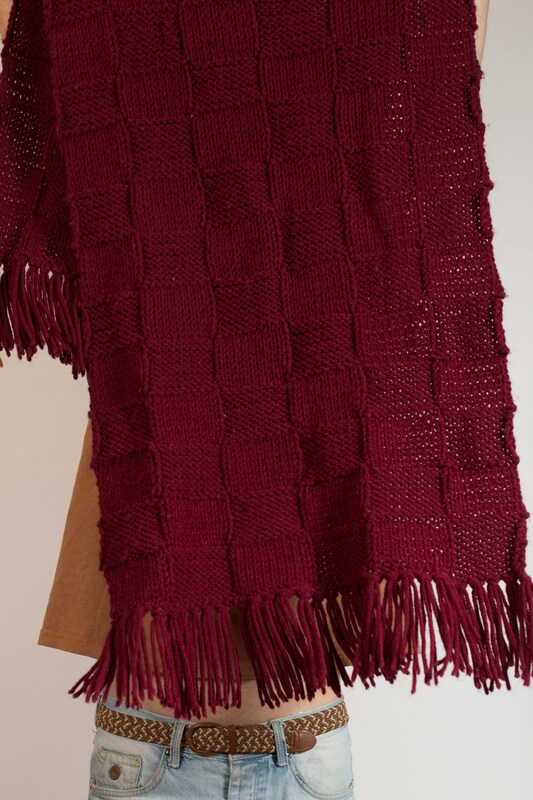 Length: 70 inches including fringe. 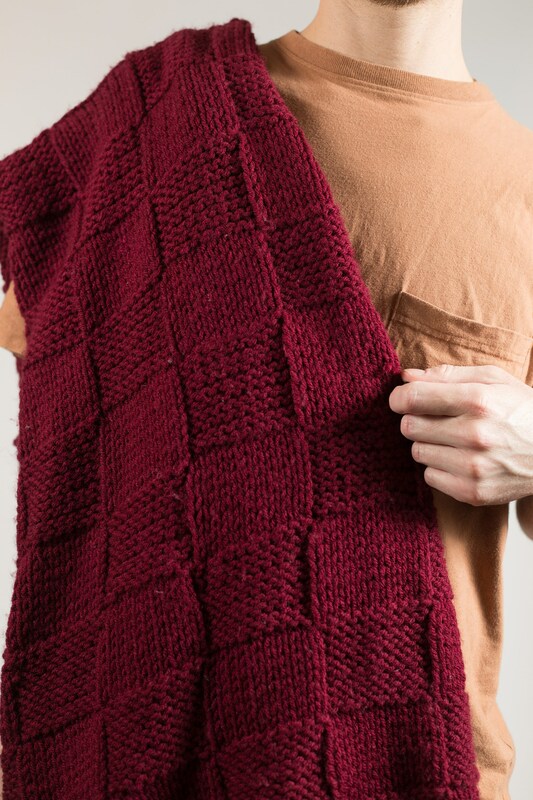 delicate wash or hand wash.